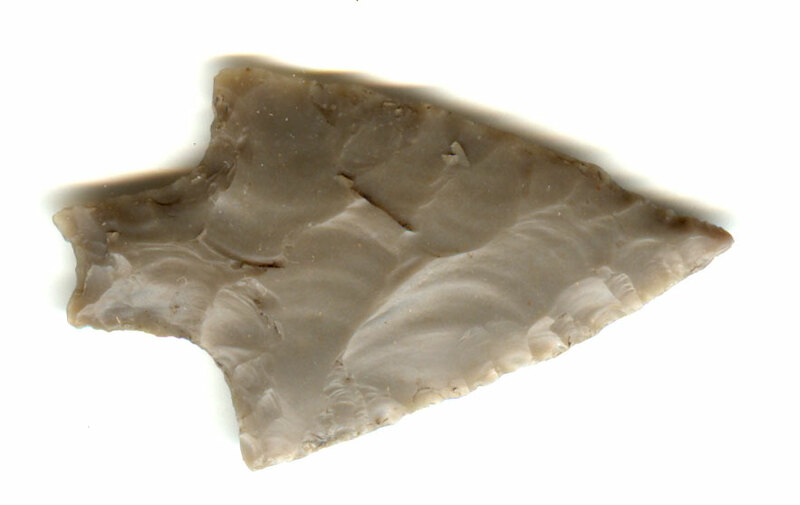 A Medium Size, Thin, Visibly Aged And Anciently Use Sharpened, Well Made, Langtry Point That Exhibits Surface Aging Coloration And Overall Stone Patination, Aged Black Surface Midden Deposits, Correct Blade Sharpening Use Reduction, Deep Age Stained Hinge Deposits, Correct Tapered Bifurcated Style Stem And Sharp Barbs, Correct Material And Manufacture For The Area Found. Ex-Bill Arnold Collection. This Is A Nice Example Displaying Age And Ancient Use Wear. Includes A Ken Partain Certificate of Authenticity.